What happens when someone who aspires to be a star becomes a striptease artist instead? Well, we get one of the biggest musicals on Broadway Gypsy! It contains unforgettable numbers like “Together Wherever We Go”, “You'll Never Get Away From Me”, “Small World”, “Everything’s Coming Up Roses”, and “Let Me Entertain You” that would make you hum along with the tunes. It contains award winning star cast, including Patti Lupone as Mama Rose, Laura Benanti as Louise, and Boyd Gaines as Herbie. They are known to make the audience go crazy over their onstage performances. The show is based on a true story of Gypsy Rose Lee, who was a famous striptease artist of yesteryears. The show has been applauded by critics as well as writers. Frank Rich, one of the critics, has even stated this musical to be an answer to King Lear! 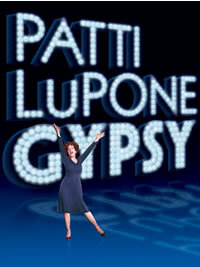 “Gypsy” is regarded as one of the greatest musical shows of America. It has been listed among the highest achievers of traditional musical theatre art form, known as “The Book Musical”, of the mid 20th century. In 1959, during the Broadway Gypsy tryout tour, two songs were cut from the story. These songs were “Nice, She Ain’t” for the character of stage manager, Herbie, and “Mama’s Talkin’ Soft” for the characters of Mama Rose’s little girls June and Louise. The first song was cut because Jack Klugman had an awful voice! The second song was cut because it required the child actress playing Baby Louise and other little girls to stand on a raised platform onstage, and the young actresses were frightened to do so! However, “Mama’s Talkin’ Soft” was later recorded by Petula Clark and released in UK in the same year as a single. Reading about the Broadway Gypsy show is so interesting! Imagine how exciting it would be to watch the entire story been performed on stage in front of your eyes! With fabulous costumes, noteworthy sets, terrific lights and sounds, and amazing music, “Gypsy” has become a symbol of perfection when it comes to Broadway musicals. And how can we forget Arthur Laurenta, who has written the book for the musical? So, all the theatre fans out there – get ready to dance a jig with the raving numbers of “Gypsy” the musical! Dial a number and get your tickets. It’s as simple as eating an apple pie! With the help of ticketing services, you get your tickets delivered at home. Also, you’re certain of getting seats at the theatre even when the show is running houseful. Besides, it’s a quicker and effortless task. To view a great online inventory of Gypsy Broadway tickets click the link! Welcome to Broadway Gypsy the musical!